Fact: Saying “bless you” after someone sneezes is believed to have originated during the sixth century plague, in hopes that it would ward off death. The plague’s gone, and we still say “bless you” when someone sneezes. We do a lot of strange, unnecessary things, and it’s hard to explain why other than “It’s polite” or “It’s what everyone does.” Still, shaking hands has always felt off to me. And “How are you?” feels insincere. These social norms are fascinating. Some of them are so embedded in our culture that we don’t even realize they’re there. When’s the last time you thought, “I think I’ll eat dinner on the floor tonight”? These silent agreements aren’t exactly bad (otherwise we wouldn’t have things like traffic and schools). They keep us safe, communication clear, and make navigating new situations fairly simple. But anything that doesn’t fit into normative culture is labeled as deviant and unbroachable. I think a big distinction between the U.S. and Niger isn’t the distance or even the wealth gap. It’s culture shock: these tiny, arbitrary differences that make people feel alien. In rural Niger, for example, punctuality isn’t the default expectation that it is in the West. What’s important is waiting until everyone arrives. I know some people who would be driven insane by that norm, but I can see why it exists. During that time before everyone arrives, people are given the opportunity to mingle and catch up on each other’s lives. They value conversation so much it’s considered rude to ask someone a question without greeting them. And when bad news has to be given, it’s usually given towards the end of a conversation. You might see male friends holding hands while talking to each other, a sight that would make some people in the U.S. feel uncomfortable. And, like in Asian culture, taking shoes off before entering a house is considered polite. Learning about other cultures, like those in Niger, helps us see just how arbitrary social norms can be and show that, in most cases, one way of living is no better or worse than another. Of course, norms extend far beyond cultural differences. It’s sad, but in parts of the world, the norm is that women and girls forgo income-generating work and school in order to spend hours every day walking for water that is often contaminated. Since I was a kid, I’ve known these things, but I could only accept them and move on. It’s a norm that I expect to feel safe going to work, that if I get sick I have access to medicine, that I’ll never have to worry about unclean water. 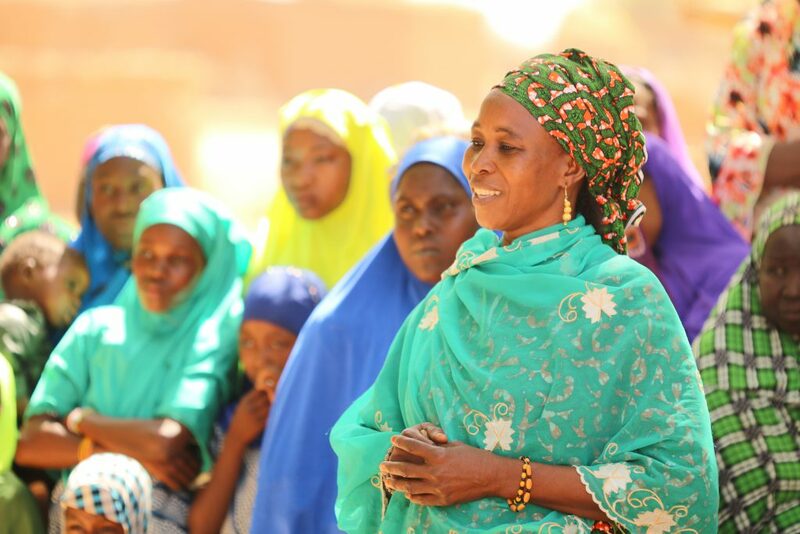 For some in rural Niger, these expectations would be completely foreign. The girls who walk miles for water each day don’t expect to get an education because that is the cultural norm, and they’ve never experienced anything different. That’s part of why Wells Bring Hope’s work is so vital—it opens up previously inconceivable opportunities and lets people know that there’s a different way. As I’ve said, norms aren’t necessarily bad; many are worthy of celebration. However, they’re often arbitrary and should be challenged and reconsidered. We make up life’s meaning, after all, and every interpretation is unique and beautiful. What I want to get across is that the norms we follow are constantly evolving. The philosopher Michel Foucault was one of the people who understood that norms are discursive and can be critiqued: “A critique does not consist in saying that things aren’t good the way they are. It consists in seeing on just what type of assumptions, of familiar notions, of established and unexamined ways of thinking the accepted practices are based…To do criticism is to make harder those acts which are now too easy.” Everytime we say “please” or shake someone’s hand, we’re reinforcing a norm. But it can work the other way, too. Everytime we discuss the difficulties happening in Niger, we remind ourselves that that doesn’t have to be the norm. And everytime we do something about it—by bringing awareness, donating, or innovating—we are instituting a new standard by which to live. That standard is a culture of compassion.